Jeff Days Photostream © Jeff Day One of the 1883 Leyland Olympians with ECW bodywork on Torquay seafront. I know its not Sunday, but its a Bank Holiday which is of course Sunday Service! 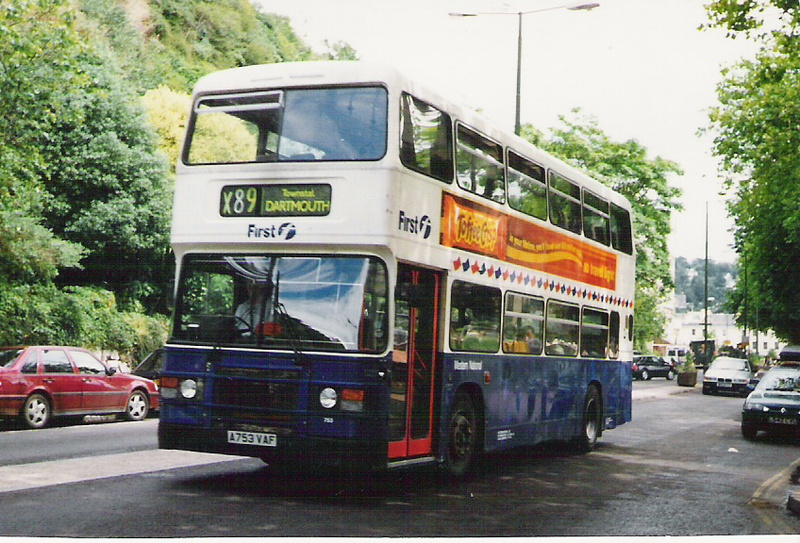 There are very few of these left in service with First Devon and Cornwall now (if indeed any are?) so its seems a good excuse if any were needed to show them looking their best in arguably the most attractive livery they carried in their long lives. I am aiming to get back to more regular postings again now as August comes to an end. Major back pain over the past few weeks has reduced my computer time, but physiotherapy is now starting to work so it should get better over time. I can see the next few months getting quite busy so I don't think I will have too much difficulty in finding things to report. Thanks to all who have supplied info and comments during the summer. I always welcome any comments and suggestions for present and future posts!